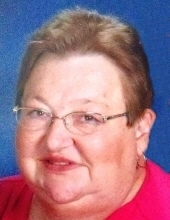 Barbara S. Moreau, 62 of Gillespie, formerly of Lakewood passed away Friday, February 8, 2019 at Heritage Health in Gillespie. She was born August 19, 1956 in Pana the daughter of Ervil K. and Dorothy (Adkisson) Padgett. She married Larry Moreau on May 30, 1975 at Zion United Methodist Church in rural Tower Hill and he survives her passing. In addition to her husband Larry, she is survived by her son Kenneth (Susan) Moreau of Bloomington, IL, her daughter Lisa (Joseph) Poorman of Humboldt, IL, grandsons Glenn Poorman, Matthew Poorman and Bennett Moreau. She was preceded in death by her parents Ervil and Dorothy Padgett, step-mother Tilla Mae Padgett, brother Kenneth Padgett and sister Melinda Spracklen. Barbara was proud to be a homemaker and a preacher’s wife and the responsibilities that came with it. She cherished her family, especially her grandsons and loved her church, the First United Methodist Church of Gillespie where she was an active member. She was a graduate of the Shelbyville High School class of 1975 and was a very big fan of Elvis. Funeral services will be at 10:00 AM on Friday, February 15, 2019 at McCracken-Dean Funeral Home in Pana with Reverend Randy Robinson. Burial will follow at Mound Cemetery in Cowden. Visitation will be from 5:00 PM to 7:00 PM on Thursday, February 14, 2019 at the funeral home. Memorials are suggested and may be made in her honor to First United Methodist Church of Gillespie, 900 Broadway St, Gillespie, IL 62033 or the Preacher Aid Society and Benefit Fund, PO Box 19207, Springfield, IL 62794 and will be received by McCracken-Dean Funeral Home which is assisting her family with arrangements. "Email Address" would like to share the life celebration of Barbara S. Moreau. Click on the "link" to go to share a favorite memory or leave a condolence message for the family.